What Is The Purpose Of The Linotop Workbench? 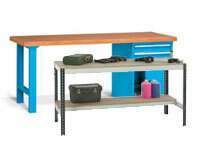 This is a workbench that is intended for environments that need more than the typical workbench. It is created with steel materials and has linoleum on the top of it to ensure that the workspace is covered in a protective material for use in a number of environments. 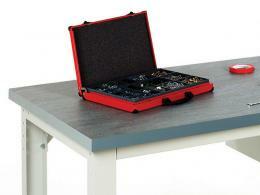 Places that the linotop workbench can be used include workshops, repair locations and garages. It can also be used in architectural and construction settings because the linotop is great for drafting and planning on as opposed to using steel topped table. Shop professionals as well as garage owners and architects can use the linotop workbench. It can be used in office environments and will work well as a project table in these settings. The sleek design will allow it to fit in easily with more modern style sets. The legs of the bench and part of the upper are made out of steel. It is able to hold 800kg of weight. 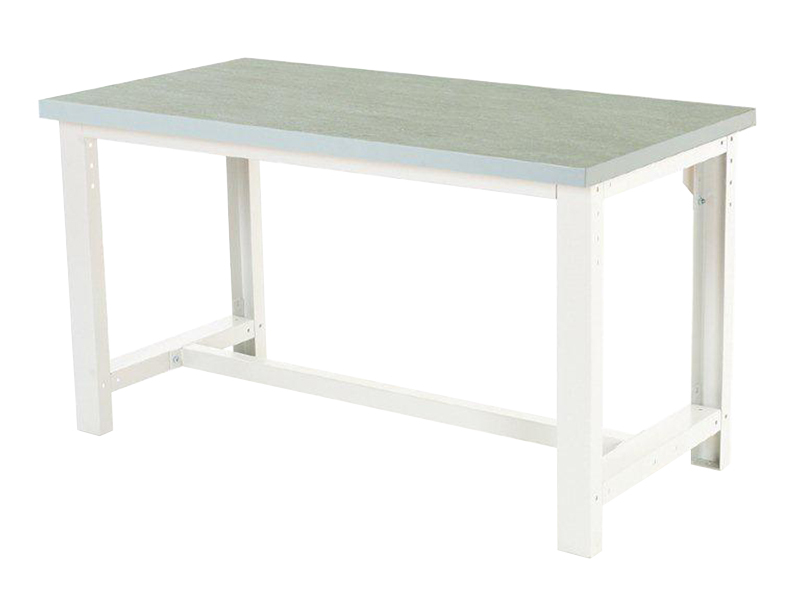 It is a strong table that is easily to assemble and comes packaged flat. It is also accompanied with a 10 year parts and labour warranty. This linotop workbench is part of a comprehensive system. 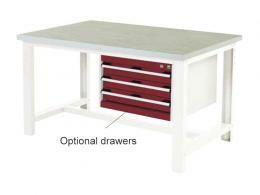 While it comes standard as only the workbench in various sizes, there are options to add on to it. The upper shelving units as well as cupboards for underneath allow it to become more than just a table. These additions will provide valuable storage space, making this a piece that is able to be used and can have dual functions. It is a great addition whether it has the accessories or not.